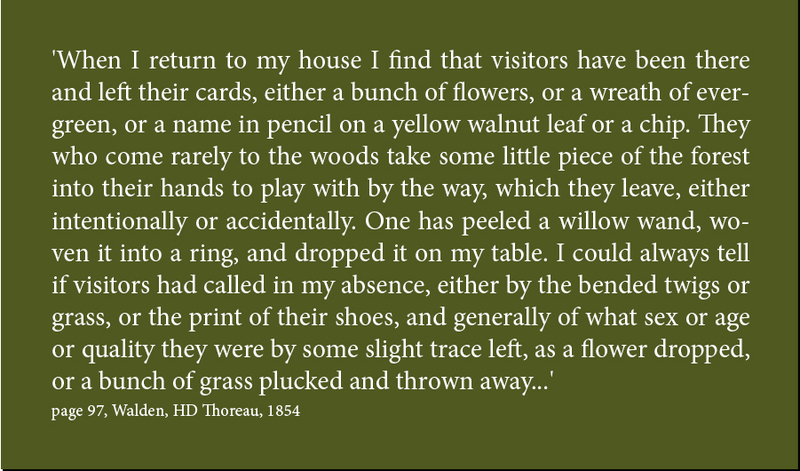 Whilst living alone for just over two years in a woodland cabin beside Walden Pond near Concord, Massachusetts in the 1840s, HD Thoreau always had three chairs ready for visiting friends. Callers to the Egg can’t be encouraged quite so much, since my own wilderness is a relatively small, protected wildlife sanctuary. However, it has felt right to welcome the occasional voyageur such as my long time supporter, the naturalist Ralfe Whistler. 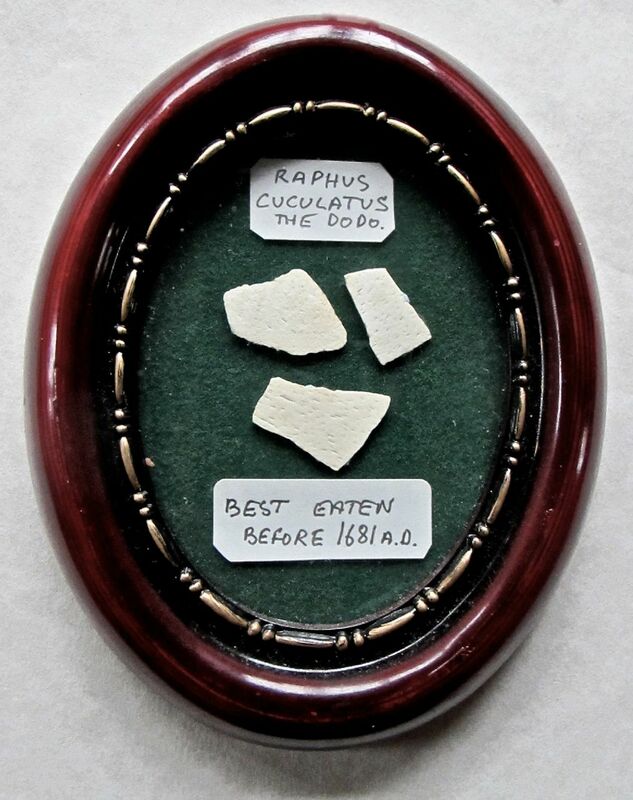 Inheriting his father’s box of dodo bones and shell led to a life long passion for this extinct creature* and I was greatly pleased when Ralfe, in turn, gifted me some small shell fragments as a reminder of his visit. 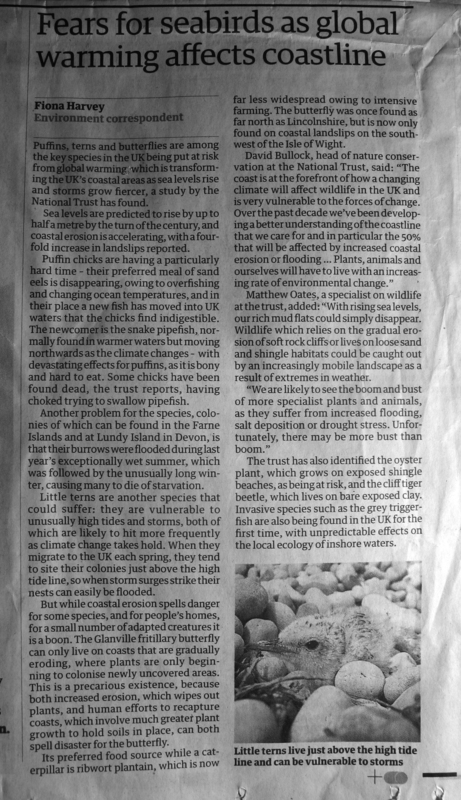 Fiona Harvey, Environmental Correspondent, Page 14, The Guardian, Friday 23 August 2013.